Last year the Genealogy Division at the Indiana State Library began a project to repair and rebind heavily worn and used materials in our print collection. We sent many books to the bindery, and made some Indiana county materials temporally unavailable. We worked quickly with our local book binding company to make sure that most materials were out of circulation less than a month. Last year we worked on Indiana print materials from counties A-C. This year we will again send out materials that are in need of some specialized care from our local bindery. For a short period of time, some print books in the Indiana counties from C-F will be temporarily unavailable. The counties affected are Clinton, Decatur, Daviess, Delaware, DeKalb, Elkhart, Fayette and Floyd. Here is an example of the well-worn condition. This ongoing project helps to ensure that our print collection will withstand the test of time and heavy use by family researchers. We understand that this might limit the availability of some materials that might be helpful to your genealogy research. This project will begin again in the first part of April and the items should be back by the first part of May. While some books from each county are sent out, not all books from that county will leave the library. If you plan to research in these particular counties you will still have plenty of books to choose from, as well as, our excellent databases and some online services that can help fill in the gaps. Researchers in these counties are encouraged to contact Crystal Ward before April, should you like to use these books before access is restricted. 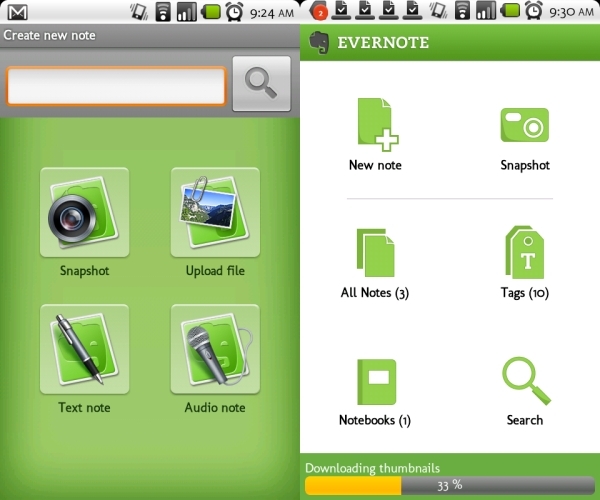 The picture on the left is an example of how the books look when they leave the library and the finished product when they return is on the right. We understand that this might be inconvenient to some and we are working as fast as possible to get the books back to the library. If you would like to know more about book binding and book repair, I have included a few links to some valuable information. The Guild of Book Workers is one of my personal favorite organizations. They are the national organization for all the book arts. They have helpful guidelines on book binding but also promote book binding as an art form. The Society of Book Binders is another good organization specializing in book binding. If you check out the Indiana State Library preservation web page you will find many valuable resources about book repair and preservation. The Indiana State Library Genealogy Division has many resources and services to make your family history search easier and more productive. An often overlooked and little known service is the ability to order microfilm from Family Search and view it at the Indiana State library. 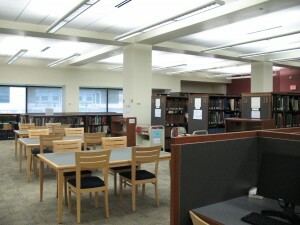 The library acts as a Family Search Affiliate location. Family Search’s microfilm ordering service is your gateway to a vast collection of genealogical and historical records. Family Search is the world’s largest repository of free genealogical records and is managed by the famous Family History Library in Salt Lake City, Utah. It has amassed billions of birth, marriage, death, census, land, and court records of genealogical significance from over 130 countries. Family Search is extending access to its collections by circulating microfilms of the historic records through select public library affiliates. 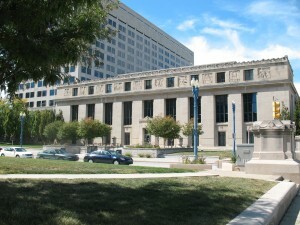 The Indiana State Library is one of the Family Search Affiliates. The loan is free, but there is a small shipping and handling charge for each film. To order films from Family Search, create an account with family search and select Indiana State Library Foundation, Inc. as the destination for your microfilm order. To find records and microfilm available for loan, follow the easy steps below. 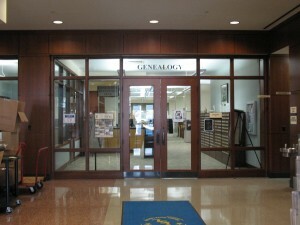 The Genealogy Division of the Indiana State Library collects genealogy and family history materials from across Indiana and around the United States and the world. The collection includes over 80,000 books and other printed materials, over 17,000 reels of microfilm, and access to online genealogy databases such as Ancestry Library Edition and Fold3. These resources are kept in open shelving on the first floor of the library to allow for easy browsing and access by library visitors. 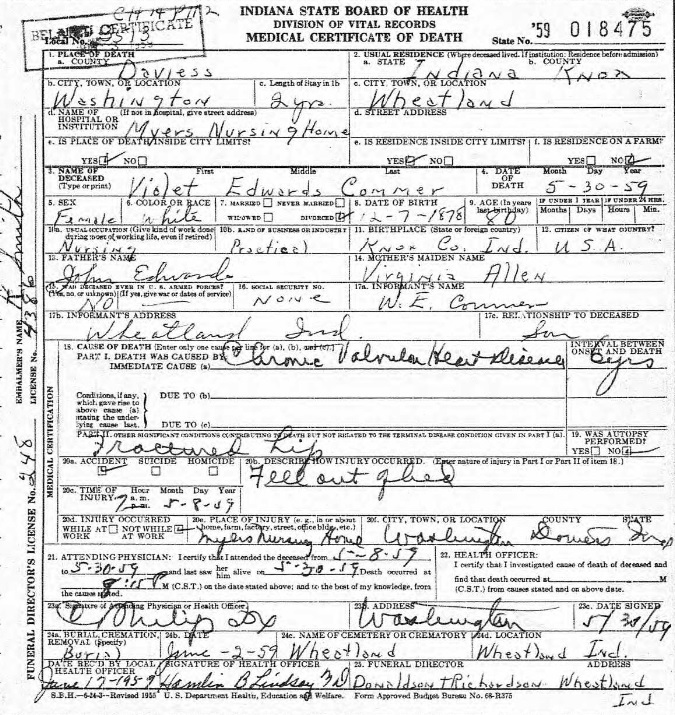 One of the most popular items in the collection is the indexes to Indiana birth, marriage, and death records compiled by the Works Progress Administration in the 1930s. 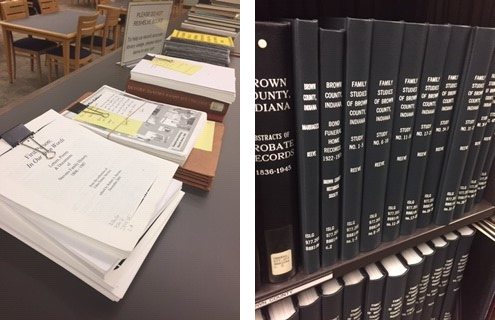 These indexes cover two-thirds of the counties in Indiana and provide the book and page number of the original records, so that researchers can obtain copies of the records from county offices. 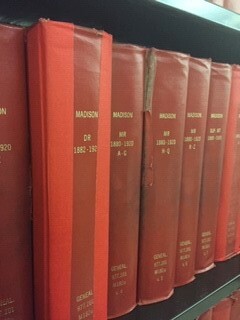 The collection also contains many other resources about Indiana, organized by county. There is information from all 92 counties. 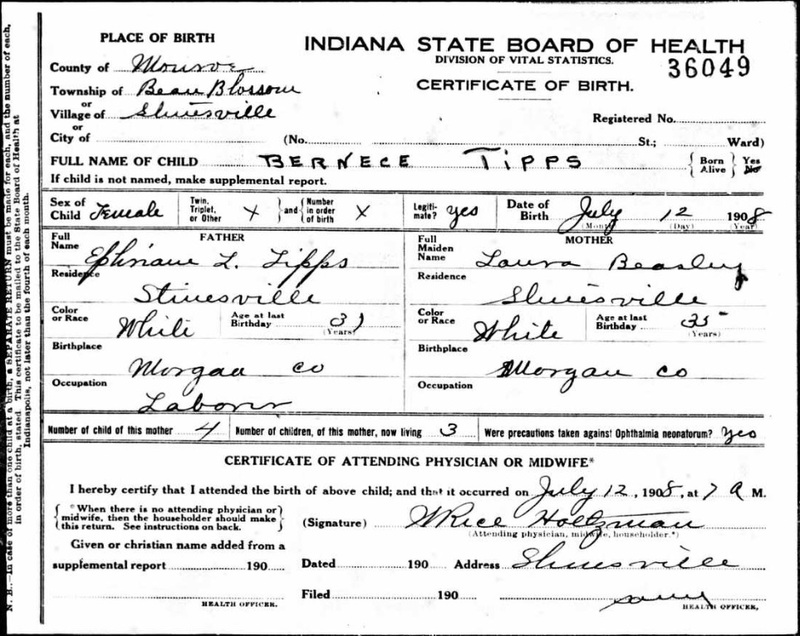 Resources include cemetery records and listings, indexes to vital records, indexes to marriage records, county histories, and other information on family history research in Indiana. Although the collection focuses on Indiana, there are more than just Indiana resources in the Genealogy Division. Every state is represented in the collection, although certain states are spotlighted for their connection to Indiana history and national migration patterns. Since people tended to move from east to west and from south to north, our holdings focus on the “border” and “feeder” states: those states that touch Indiana and those states where Hoosiers lived before they moved to Indiana. These states include Kentucky, Illinois, Michigan, Ohio, North and South Carolina, and Virginia. Other popular items include the indexes to passenger lists compiled by William Filby. Housed on the second floor of the library, the genealogy microform collection includes Indiana county records on microfilm, select records from other states on microfilm, and family and local history books on microfiche. The microfiche collection includes rare books that can be found in only a few libraries in the original print format. 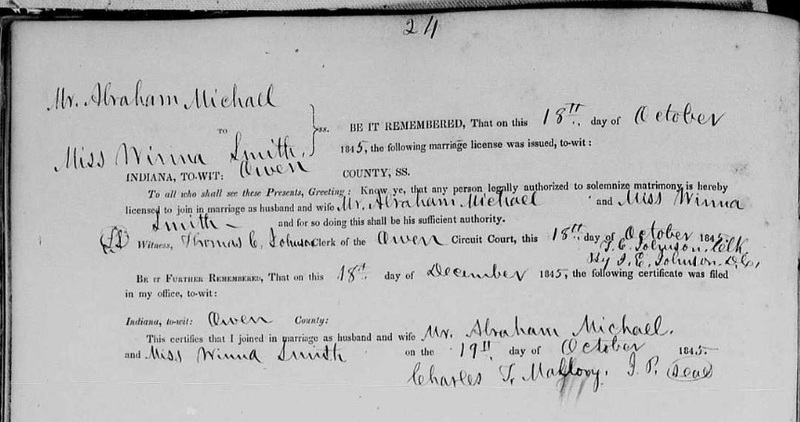 The Indiana county records on microfilm collection contains records from all 92 counties, covering marriage records, land records, vital records, and will and probate records. These films were made from the actual records in county courthouses throughout Indiana, so that you can see the handwritten records as they originally appeared. The Genealogy Division also answers questions via email, telephone, mail, and Ask-a-Librarian online question service. 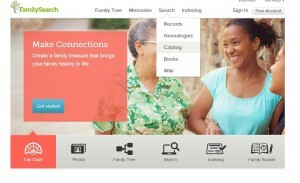 This blog post was written by Jamie Dunn, Genealogy Librarian, Indiana State Library. For more information, contact the Indiana State Library at (317) 232-3689 or “Ask-A-Librarian” at http://www.in.gov/library/ask.htm.